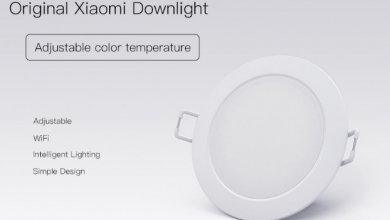 Xiaomi is all set to set foot in the gaming smartphone market! 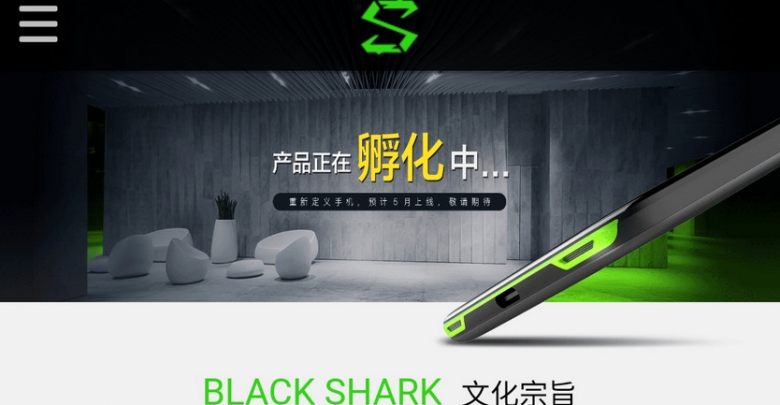 About a month back in February, we got a very first leak of the Xiaomi Blackshark smartphone that was spotted on AnTuTu benchmark with some of the major specifications. 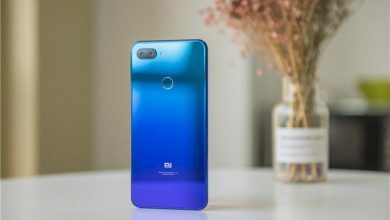 If you don’t know, Xiaomi is all set to launch a gaming smartphone this year that will take on the likes of Razor phone, etc. Today, it was again confirmed that the phone does exist as the device showed up on Geekbench platform. 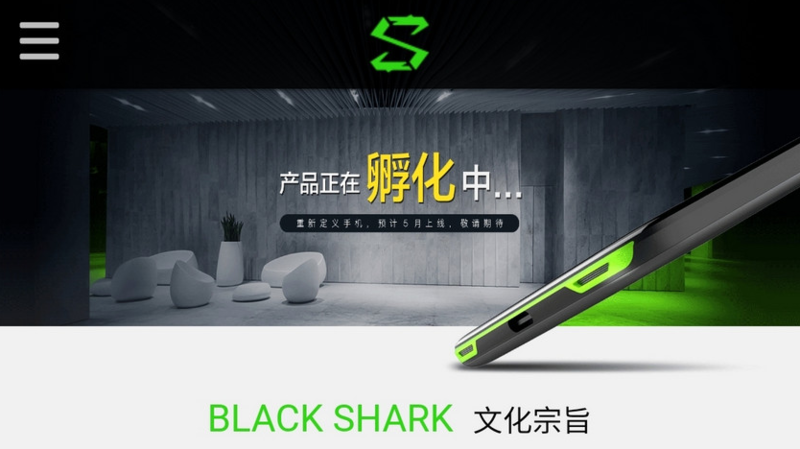 As you can see in the image above, the phone carries the model number blackshark SKR-A0 and comes with the Android Oreo v8.0.0 out of the box. Under the hood, there is the powerful Snapdragon 845 processor which is an octa-core chipset clocked at 1.8GHz. There is 8GB RAM which is pretty common to see on a smartphone made for gaming. Also, the AnTuTu listing revealed a score of 270K+ which means it is among the most powerful phones that we are going to see this year. 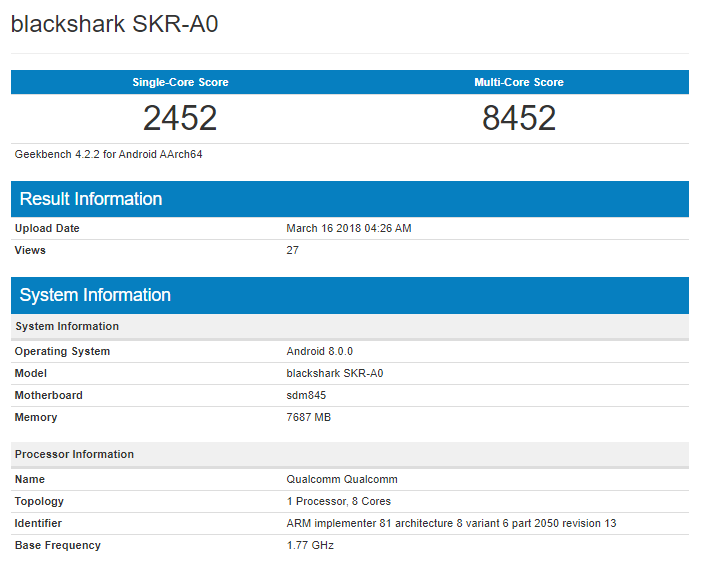 Talking about the Geekbench scores of the Xiaomi Blackshark, the device scores 2452 on the single core while 8452 on multi-core which is pretty similar to what the recent Snapdragon 845 phones have scored. 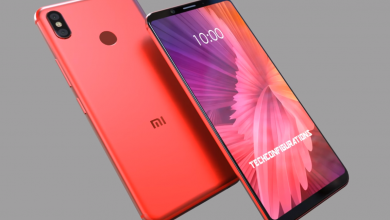 So, with Xiaomi all set to announce Mi Mix 2S on March 27 and Mi 7 after some months, the Xiaomi Blackshark could change the smartphone market.